The photo count between my Mac and my iPhone are not the same. I use iTunes syncing along with My Photo Stream to keep the devices identical. Something has gone amiss. I don’t have any idea how to troubleshoot the image counts since iTunes is supposed to be syncing the images. How might I determine if a problem really exists, and if so, how do I fix it? 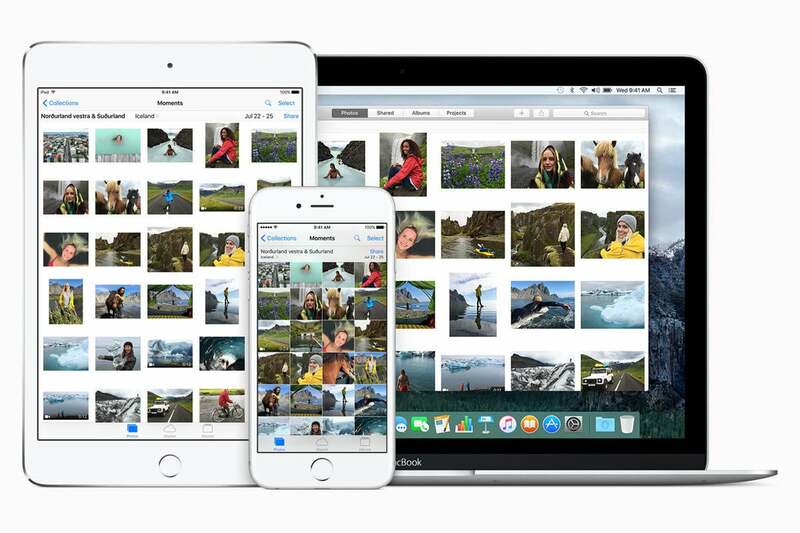 There are long-running discussions on Apple’s forums about iTunes syncing not matching up numbers in iPhoto and Photos for macOS and iOS devices. These seem to stem from deleted photos where corresponding thumbnails remain in the library databases. If that’s the case, you can rebuild an iPhoto library with these instructions and repair a Photos library by following these directions. 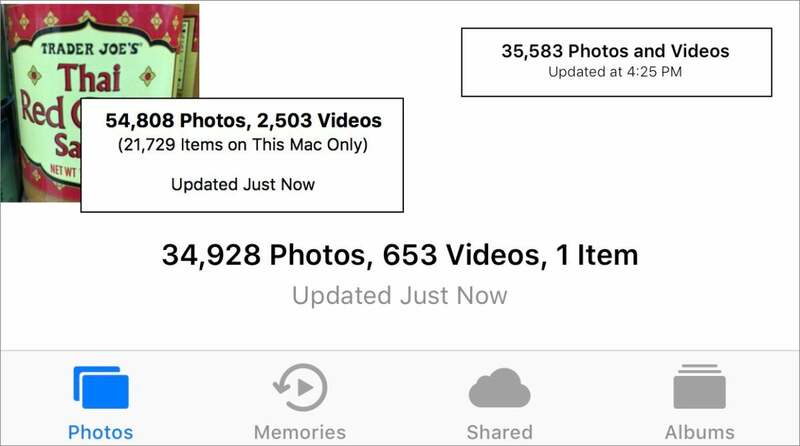 A collage of the various totals from Photos in iOS and macOS and at iCloud.com. The most explicable thing, however, is the "on This Mac Only" label: Photos in macOS allows both imported and referenced images. In Photos > Preferences > General, if the box next to Importing is checked, whenever you drag media in or use the File > Import option, images and videos are copied to your Photos library. Uncheck that, and the image is referenced from the location on your Mac, including external drives. Referenced images are not synced to iCloud Photo Library. If you’re trying to figure out which are referenced and which are not, Apple puts a subtle icon in the corner of all referenced images—it looks like a rectangle with an arrow pointing to the middle right from the lower right. A Smart Album lets you figure out which images are referenced in Photos. But you can also create a smart album that collects all these. Select File > New Smart Album. In criteria, choose Photo, Is, Referenced. You can select any referenced media and then choose File > Consolidate, and you’ll be prompted to copy the media into your Photos library, which will also re-point that thumbnail reference to the imported one.